Convenient, well-planned food service is an integral part of healthcare. From offering quick snacks to providing patient nutrition, our team understands the importance of the entire food service operation. From the proper layout of kitchens and preparation areas to creating open, comfortable dining environments, our team is experienced in integrating a variety of dining opportunities into our projects. 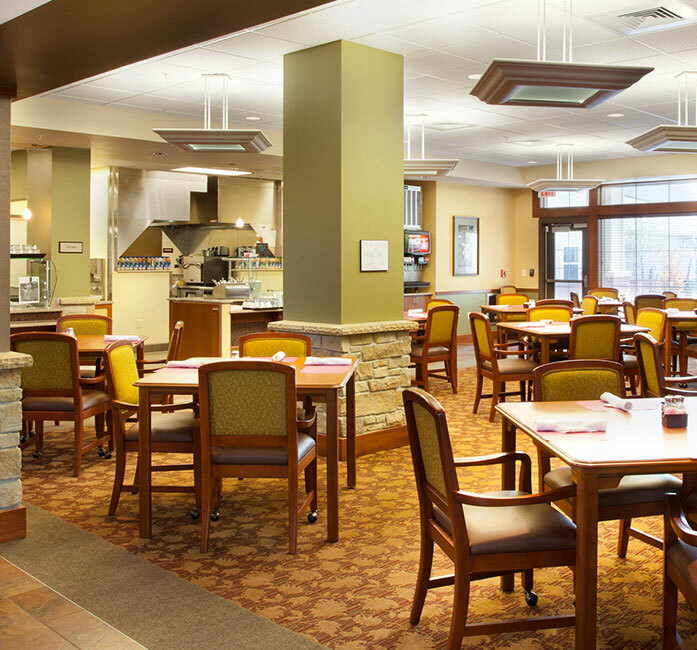 Menu service in restaurant-style dining rooms, bistros offering lighter fare outside regular dining hours, and personalized 24-hour food service continue the trend to offer more choice and convenience to patients, residents, and families in senior living environments. 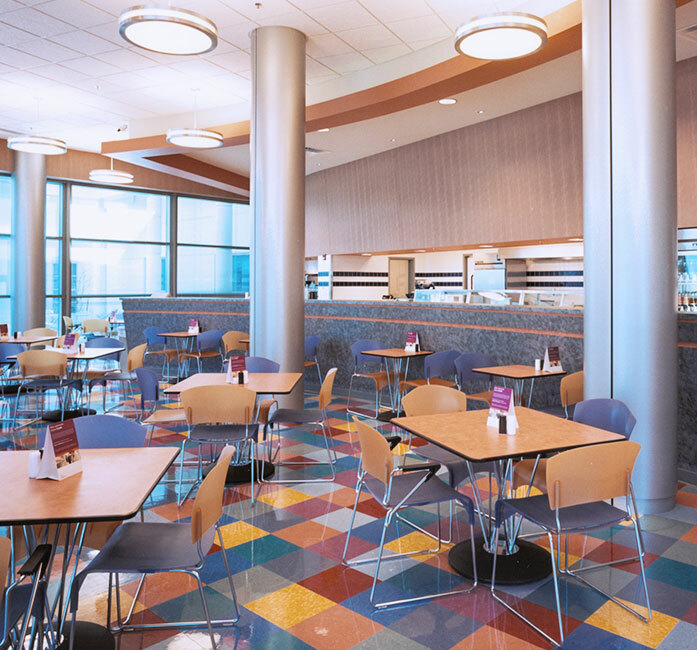 Within hospitals and medical centers, warm, inviting cafes offer visitors respite and refreshment during stressful times.